Darra Gasper is a freelance choreographer and instructor with over 20 years of experience in the dance industry. Darra began dancing in Huntsville, AL and at the age of 16, Darra moved to Florida to continue her training at The Dance Centre in Pensacola. At age 17 she was awarded a full scholarship and the opportunity to perform with their professional company, First City Dance Theater. 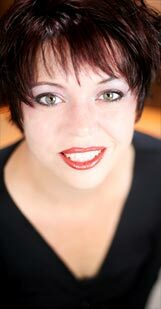 Darra was enlisted as a substitute faculty member and eventually directed The Dance Centre Junior Performance Company. One year later Darra was accepted on scholarship to train at the world famous Gus Giordano Dance Center in Chicago. Over the next four years Darra trained intensively at both the Gus Giordano Dance Center and Lou Conte Dance Studio (Hubbard Street). During this time Darra performed professionally with The Gus Giordano Dancers, James Kelly Choreography Project and Touch Dance Ensemble. She also appeared on MTV, VH1, PBS and on ABC's Wide World of Sports in the Chicago World Cup Opening Ceremonies as well as on FOX as a dancer in The Untouchables TV Series. In 1994, Darra was invited by Gus Giordano to appear as a guest soloist at The Jazz Dance World Congress where she was given a full scholarship to Broadway Dance Center by Frank Hatchett and served as demonstrator for Gus Giordano, Nan Giordano, Frank Hatchett and Richard Havey. Later not only would she become a permanent substitute at GGDC she would become one the first scholarship students to set original choreography for the annual Scholarship Student Showcase. Darra retired from performing early to follow her true passion for dance education and choreography. She accepted a position as Jazz Director at The Dance Center of Colorado Springs in Colorado. Darra spent the next 7 years training students and directing the Senior Jazz, Modern and Tap competitive ensembles, winning multiple overall and choreography awards. While at TDC, Darra taught all ages and levels of Ballet, Jazz, Tap and Modern. She also worked extensively with and created choreography for Sangre De Cristo Ballet Theater in Pueblo, CO, directed by Fernando Schaffenburg. While in Colorado Darra also worked with the USAF Band of the Rockies and choreographed their 2004 tour. She also appeared with Paramount Studios, worked with International Baccalaureate dance programs throughout the area and privately coached several Denver Broncos cheerleaders. In 2005 Darra made the move to the East coast to accept a position as Head of the Jazz and Contemporary Department and Artistic Director of The 3D Project Jazz and Contemporary Company at Cary Ballet Conservatory in NC. While at CBC Darra founded "JazzFest", a week long intensive focusing on Jazz and Contemporary Dance. The 3D Project performed nationally with appearances at such festivals asArizona Jazz Dance Showcase and UNCSA Festival of NC Dance. While in NC Darra also choreographed the opening ceremonies of theNC Special Olympics and opening and halftime shows for the Carolina Railhawks professional soccer team. As a guest teacher and choreographer, Darra has been honored to work for The Southern Association of Dance Masters, Memphis United,the University of Arizona, Tucson, the University of North Carolina, Chapel Hill, Locust Performing Arts Center (Stamford), The Dance Academy of Bartlett (Memphis, TN), Destiny Dance (Wake Forest, NC), The Dance Factory (Athens, AL) and Artists in Motion (Geneseo, IL). After moving to back to Pensacola in 2014, Darra served as co-director for First City Dance and is now a freelance choreographer and instructor, sought-after for her passionate, innovative technique-based artistry.